The next meeting of the Society, held in partnership with the KMIRC of The Hong Kong Polytechnic University, will be a half day KM Conference held at the Theatre , 22/F United Centre, Admiralty. We are delighted to welcome Paul Corney to visit us from the UK. 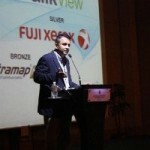 Paul has contributed to KM thought leadership for many years at speaking engagements around the world. Also joining us are Karuna Ramanathan from Singapore and David Williams from Australia, two leaders from the KM Global Network (KMGN) , a network of KM Societies formed last year in Asia Pacific and expanding to cover Europe and the Americas. More information on the speakers and their topics can be found below. All of those with an interest in KM should attend and help spread the word. Group discounts are available. There is limited seating, so please book early to avoid disappointment. Early bird pricing of HK$1500 is available for all registrations received before cob on Monday 11th May. The charge for event is HK$1800 for members and HK$$2100 for non-members. Registration has finished for this event. Increased focus on cost containment and a drive for greater flexibility has resulted in many people relocating or retiring. There is a growing awareness that outgoing officials take more than just their presence; they take years of experience and the stories that have helped shape the organisation’s DNA; and they take their networks often the most valuable resource. Ensuring new joiners hit the ground running in the shortest time possible by equipping them with the right knowledge and information . Capturing experience and knowledge from staff coming up for retirement, whose job might be disappearing or who are leaving so that their knowledge (and networks) are not lost. 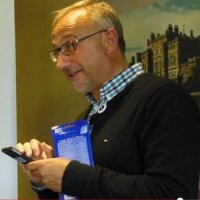 An early pioneer of intranets in the mid 90′s and one of the first ‘knowledge managers’ in the City of London Paul has led many challenging cross culture and cross continent assignments. He speaks regularly at and chair international events and runs masterclasses. 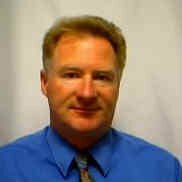 Paul has published numerous works on Knowledge Management and is currently co-authoring a book on proven knowledge capture and retention with the former KM Head of the US Nuclear Regulatory Authority. The concept of work as we have understand it is continues to change. The boundaries, structures and functions of organisations are becoming blurred as the interaction with customers, suppliers and peer networks permeate traditional structures. This presentation will look at how the workplace demographic, globalisation, environmental change, social networking and the explosion of middle class in developing countries will impact on the way that organisation’s will need to evolve. The rate at which organisations learn is the only sustainable competitive advantage. David has a Diploma in engineering, a Grad Dip in Public Sector Management and a Master’s degree in Project Management. He is a Certified Practicing Project Director and is an accredited workplace trainer and Assessor. He is the President of the ACT KM forum, chair of the Information Awareness Committee and is on the Board of the Institute for Information Management. He chairs the AIIM International KM Standard working group and is a founding member of the Knowledge Management Global Network. David lectures at the University of Canberra on Knowledge Management Systems and Information Systems in Organisations at the post graduate level. know that if as leaders, manager and workers, we do not know what we know, if we do not know what we do not know and/or if we think we know all there is to know, we might not be able to contribute to organizational effectiveness. Karuna is currently the Senior Organisational Development Consultant in the Public Service Division (PSD), Prime Minister’s Office (PMO), Singapore. In this role, he supports large system change in and between public service organisations to realize organizational effectiveness and employee engagement. Karuna is the current President of iKMS, the Singapore KM Society since 2013. Hi Andreas, good to see you yesterday. Just FYI. I have setup a LinkedIn group for the HKKMS. Useful to go there for discussions. Hoping that using this will enable some ongoing discussions and connections.